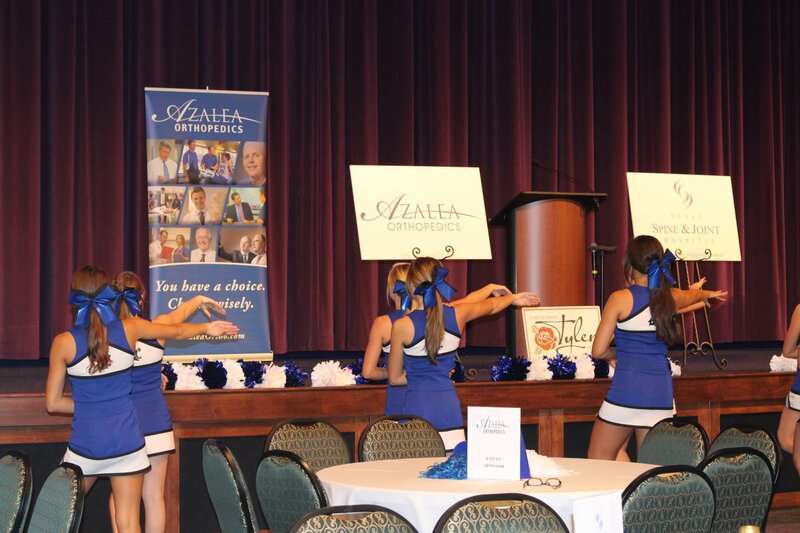 Azalea Orthopedics is proud to sponsor the 2016 East Texas Kick-Off Luncheon in the celebration of the beginning of another high school football season in East Texas. Guest speaker Tyler Campbell, Azalea Orthopedics’ Dr. Kim Foreman, city officials, school officials, football coaches and more filled the Green Acres Baptist Church Crosswalk Conference Center. A selected player from each team represented their schools and was presented a $250 scholarship from the sponsors.